This is one of my latest decoupage projects: glass decoupage picture. I found a nice piece of glass in my garragge. First, I did not have any idea what to do with it. But, after all, I got inspired and here is what came out of it. 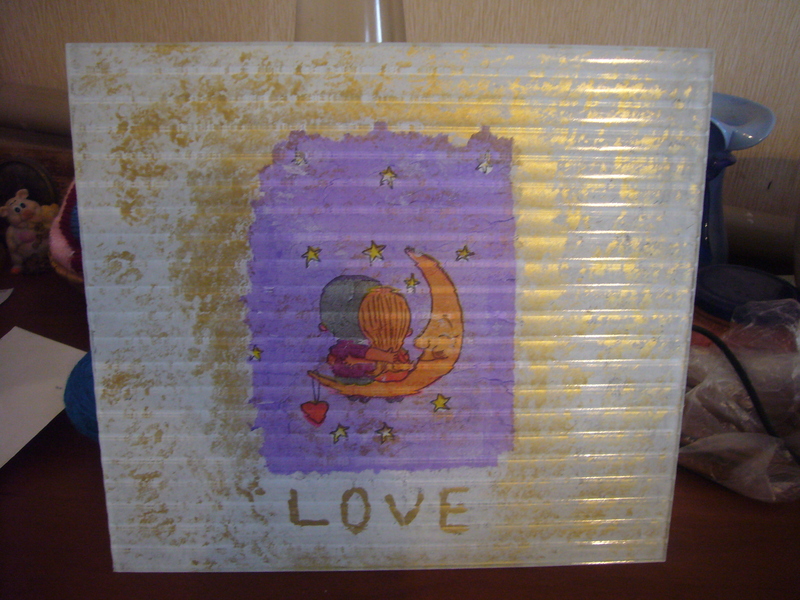 Today I have done another glass decoupage picture and later on I’ll share step by step workshop on it. This entry was posted in Uncategorized and tagged crafts, decoupage, decoupage how to, decoupage tips, glass decoupage picture, home decor, home design. Bookmark the permalink.